Our recipe for boiling crabs here at Easy Portuguese Recipes is more of a method. This recipe brings together Portuguese and New England style cooking methods into a delicious Atlantic crab boil that is simple and easy to make. It combines spicy crushed peppers and piri piri to give the crab meat a hot and tangy flavor. Another very important ingredient is the coarse sea salt, which gives the crab a briny taste and really bring out the natural flavor of the meat. The Portuguese are prolific crab eaters and use crab meat in a variety of dishes. You can use this method as a way to prepare crab meat for other dishes or to just enjoy it picked right out of the shell. 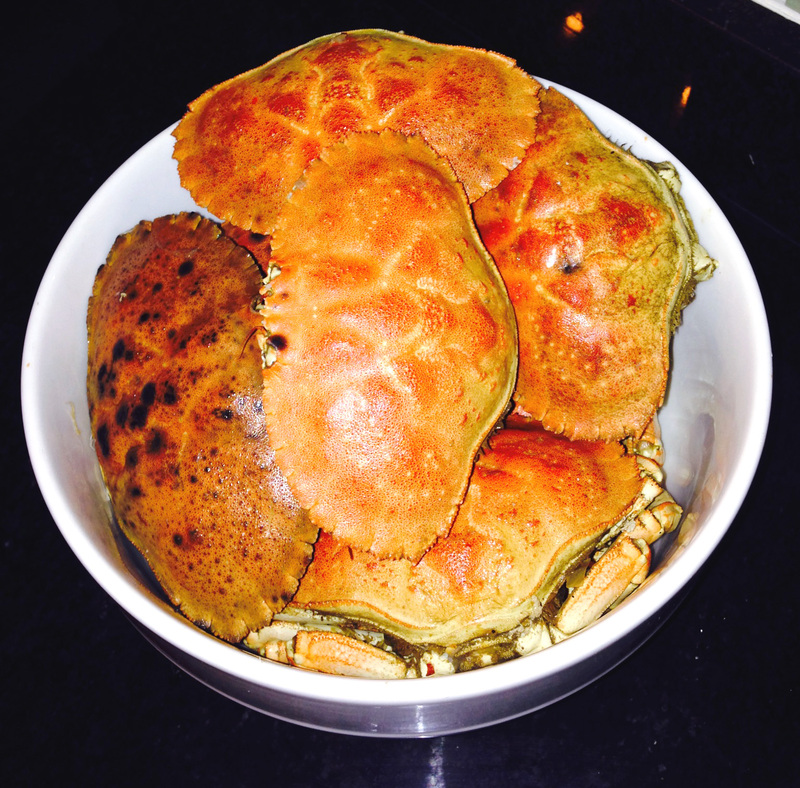 1) Set aside the crabs in a bowl off to the side. 2) Fill a 5 gallon pot half way with water. Add all the ingredients except for the crabs. Bring it to a rapid boil on high heat. 3) Once the water is boiling begin to add the crabs to the pot. They will likely need to be cooked in 1-2 batches depending on the size of the pot. 4) The crabs will need to boil for about 25 minutes. Stir the pot well as they cook. 5) They will begin to float when they are fully cooked. At this point you can pull them from the water and let them cool in a serving platter. 6) They are ready to serve once done cooking.